Many “new” car technologies presented nowadays were invented decades ago. Keep reading to find out when exactly these technologies were first announced. The first buttons of this type have appeared in Crysler’s models in 1956. This technology was used for the first time back in 1912. The airplanes from World War II have been equipped with head-up display. 40 years later in 1988, Oldsmobile presented it. In 1933 Cadilac have used such suspension in its vehicles. This technology was known under the name of “Ride regulator” and was allowing switching between 5 different types of suspension thanks to the panel, located close to the driving wheel. This is one of the new technologies and in present is used from Honda and General Motors. Cylinder deactivation leads to less fuel consumption when some of the cylinders are not working. In fact this technology for fuel saving was used for the first time in 1981 into the cars of Cadilac – Arabia. It is good to have it during the winter. Unfortunately, only premium models has it. 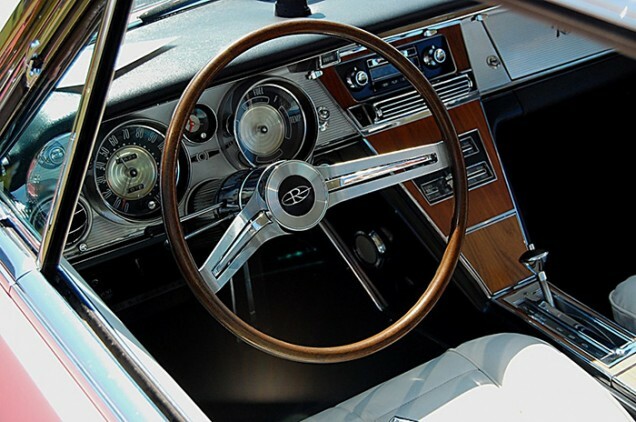 Cadilac was first again who have integrated this technology in its Fleetwood Brougham in 1966. Nowadays, many of the cars have it and it gives them easy access to different sources. The truth is that this technology is more than 30 years old. It was used for the first time in Buick Riviera in 1986. The first manufacturer who began to use it, was Cadilac again (1964). The name of this technology was “Comfort control”. Thanks to the installed sensors, it was automatic regulation process of the temperature without any help from the driver. Prev:Misleading direction signs. Where to be careful when you travel?